I'm clearly a little obsessed with clear clutches right now. At first glance I wasn't sure I wanted everyone seeing what was in my bag, but this type of clutch forces you to carry only the necessities. Are you on board with this trend? 1. I'm loving this soft green color of this lucite box clutch from Dailylook. 2. This Forever 21 metallic-trimmed clear clutch stays chic with a chain shoulder strap. 3. 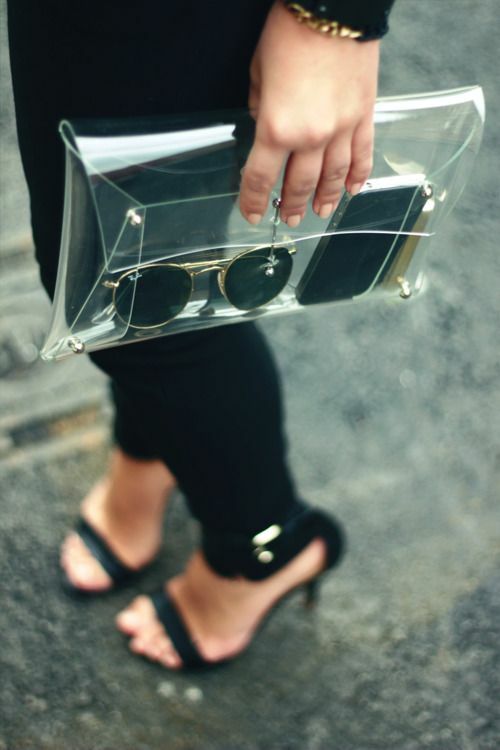 You can't go wrong with this gorgeous Alice and Olivia clear clutch. 4. 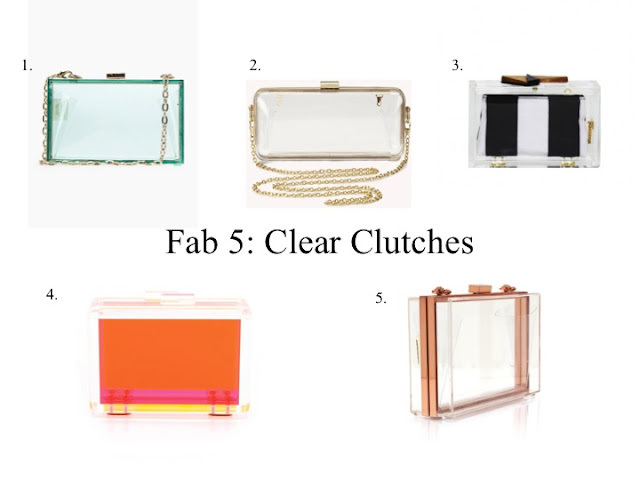 I can't get enough of the CC SKYE bright lucite clutch that has a retro feel. 5. Go Jane has the perfect clutch for carrying all the essentials with a removable metal chain strap. I think this could be a fun look once in awhile. Great choices; I'm having trouble picking my favorite. Oooooh...I think I like it! i like #5 best! i think this is a cool accessory that will definitely attract attention!